Established in 2010, Paxton-Hall Lawyers is a leading, Brisbane-based, boutique law firm, specialising in all aspects of estate planning, the not-for-profit sector, general property and commercial services, as well as employment law advice. Paxton-Hall Lawyers also has a focus in the emerging field of technology law in Australia. We take pride in our dedicated focus on these specialist areas, which has led to Paxton-Hall Lawyers’ reputation for excellence, in Queensland and around the country. 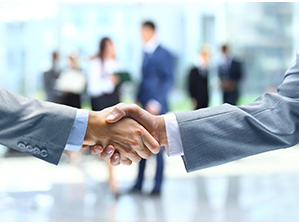 Our success has come from an unswerving belief in the primacy of our clients’ best interests. Our size has allowed our senior, experienced people to be responsive, flexible and available to clients, while at the same time providing the most up-to-date advice without the costs of larger national and international firms. Our clients include several major national providers in the not-for-profit sector, large and small family businesses and enterprises and individual clients. Each of our clients receives the same caring, prompt and expert service. We are committed to delivering reliable and timely legal advice, all while guiding and supporting you through each step of the process. Our clients have access to the collective legal experience of our whole team thanks to a culture of collaboration and teamwork. Knowledge-sharing within the firm is actively encouraged as we know it gives us the best opportunity to provide the best advice to our clients. As a practice committed to client service, we recognise the importance of having people who represent our values and share our mission. We listen while you talk, and then deliver expert legal advice with minimum fuss. People are our one true asset. Need advice on matter? Ask us now. We take great pride in using our expertise for you and look forward to hearing from you. Simply fill in your details and one of our friendly staff will get in touch with you as soon as possible.